For Pujiang – a Chinese city that had lost nearly 200 hectares of river and tributaries to channelization, sand quarries and pollution over four decades of industrialization – the reclamation of a 16-kilometre stretch of riverfront was like turning back time. 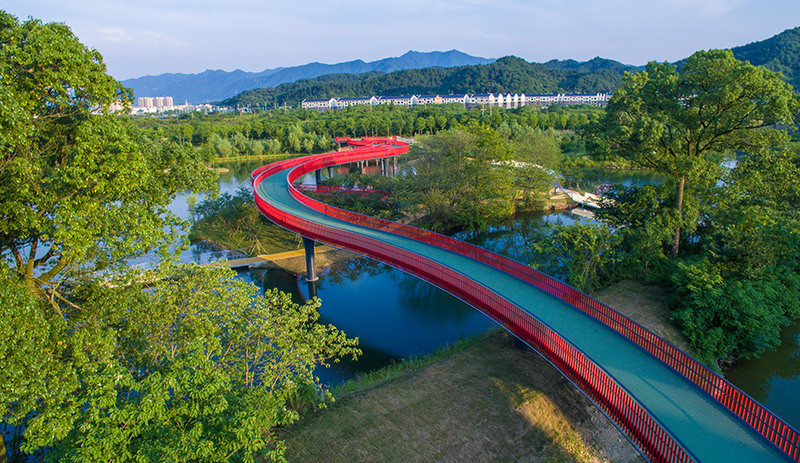 Pujiang has a monsoon climate, so the first step was to remediate concrete surfacing with resilient, flood-adaptive greenscapes that divert and buffer floodwaters and help cleanse them of agricultural runoff. 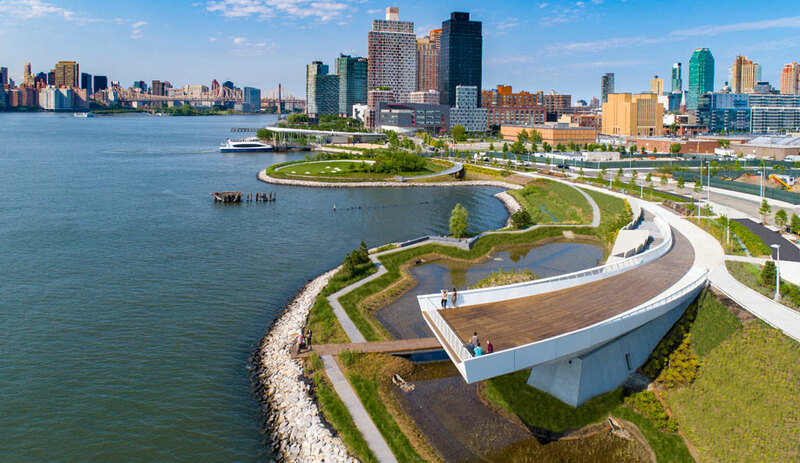 To reconnect the city’s residents with nature, Turenscape then activated the riverbanks with boardwalks, pedestrian and bike paths and a colourful network of sinuous bridges. 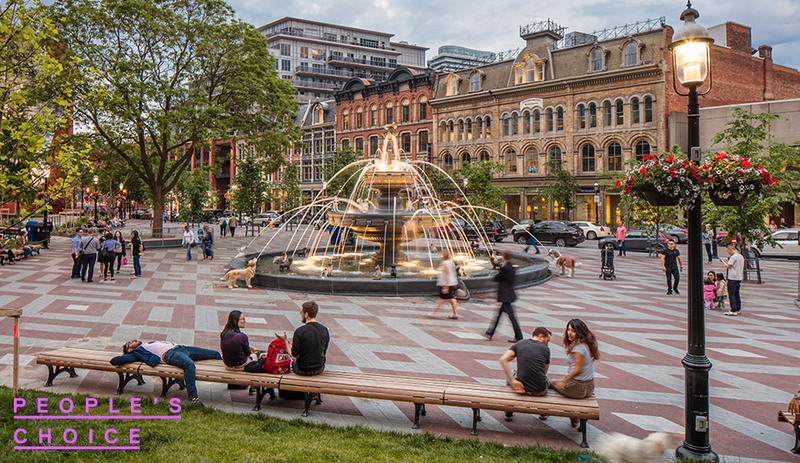 Once an awkward, hemmed-in wedge of urban greenery that felt more forbidding than inviting, Berczy Park today is the main attraction of its thriving district. 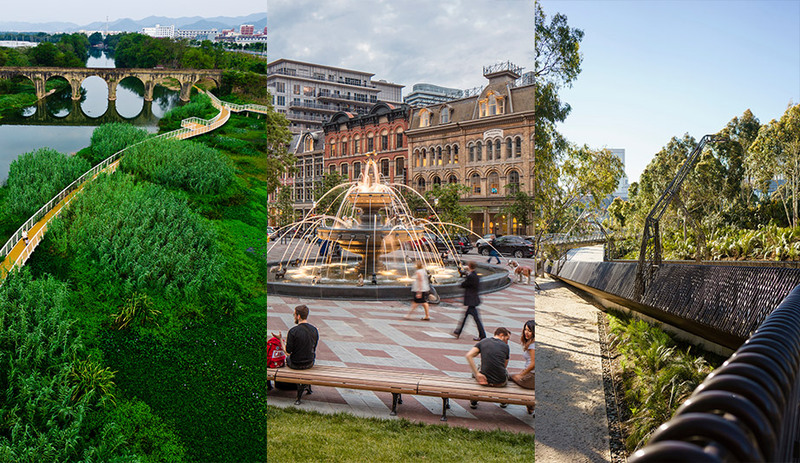 To the north, a barricade of spindly trees and brick retaining walls has been replaced by an ample sidewalk and a gently rising lawn criss-crossed by footpaths with sightlines into the park. To the south, a formerly insular plaza now spreads clear across the sidewalk in a broad quilt of patterned pavers, compelling passersby to take in the park’s centrepiece: a two-tiered Victorian fountain bedecked with cast-iron sculptures of a menagerie of dog breeds – plus one cat. 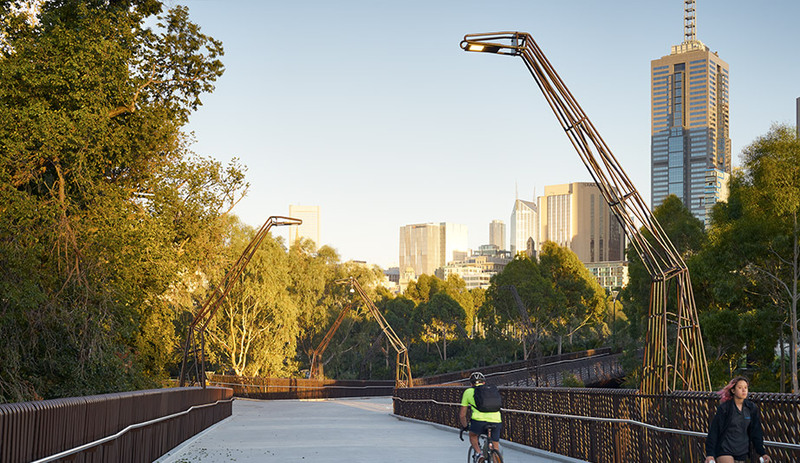 In terms of function, Tanderrum Pedestrian Bridge is like any other bridge: Rising to the Melbourne Park sports precinct, it serves as a main entry point for the Australian Open. But in its form, which closely follows the underlying topography atop sculptural concrete legs, it stands above. The bridge’s slender spans are encased in a filigree of bent steel rods that line its volumetric profile, rise up its sides to form balusters and guardrails and even project skyward at intervals to form lampposts. With every contour and integrated feature shaped from uniform rods, the effect is of an entire structure woven, like a wicker basket, from a single material.